Three sweet little mice in a box. 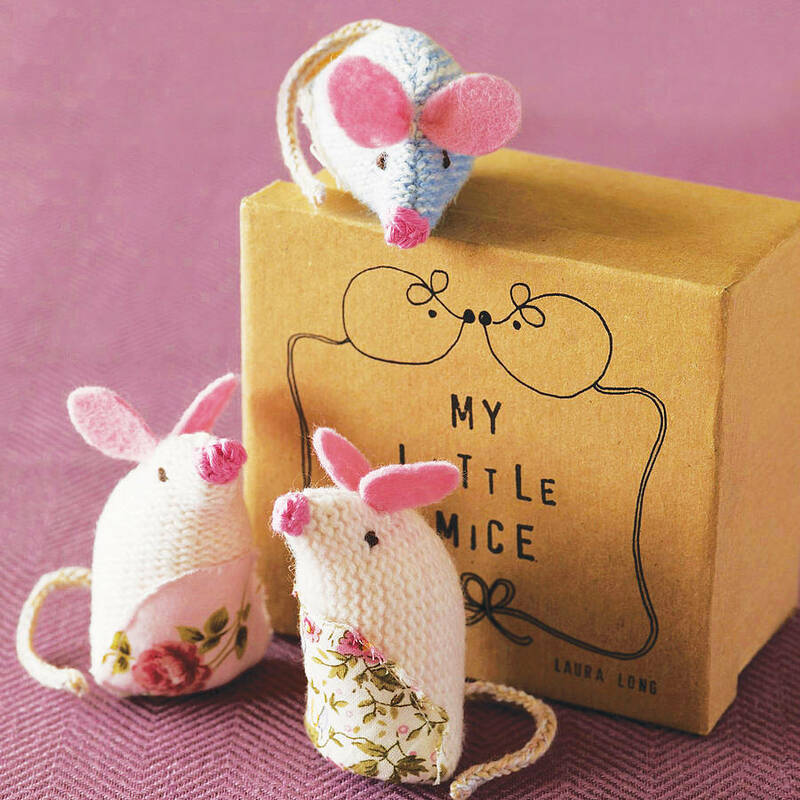 Three little mice, each with a character of their own. They stand up tall and peep out from their little box to see what is going on around them. Mice can be nosey little creatures! All the mice are carefully handcrafted with knitted bodies and hand embroidered detaiing on their nose, ears and eyes. They arrive packaged in a little box of three - one blue and two pink. 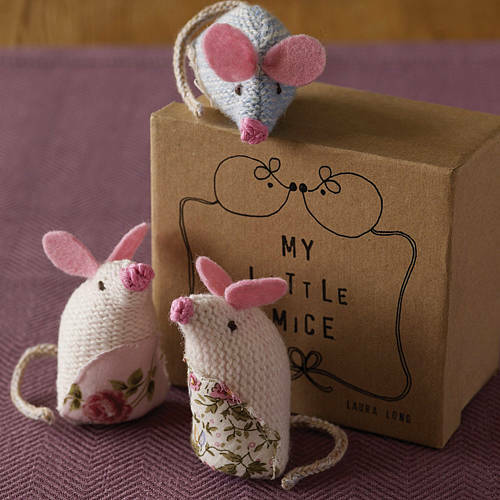 If yoy would like three mice that are all the same colour, please let me know and I will make these for you instead. There is also an option to add an extra mouse or two to your box. Handmade using the finest lambswool. Each mouse is Apporoximately 6cms tall. This product is dispatched to you by Laura Long.